Topics: Store, Info, Registration, and Smarttv. Age: It went live on November 13th 2000, making it over 17 years, 5 months old. 187 users visit the site each day, each viewing 2.30 pages. ns3.a-link.com, ns.nebula.fi, and ns2.nebula.fi are its DNS Nameservers. Nebula Oy Customers Co-location Network Helsinki is the location of the Apache/2 server. 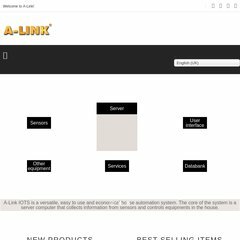 A-link.com's IP address is 188.117.37.193.